These days I'm participating at an event called "Informatics at the Castle"  . It's the third edition and until now I had a wonderful time. I had a talk about the advantages of Free Software and my work at GSoC. 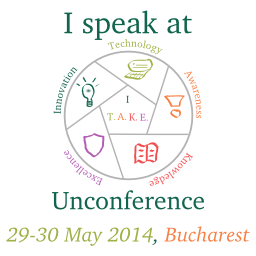 I also talked about Apache Software Foundation, Debian, and Ceata.org (a young Romanian FLOSS community) . The presentation is available from here . The participants are from very diverse domains: University teachers (from four Romanian and Moldavian universities), small/medium business owners, students, government agencies employees, LUG members, etc. Legăturile nu au <a href și astfel nu încurajează cititorii să intre pe acele situri.